For a non-stop energetic performance of Country, Rock and Gospel songs, plus hilarious skits by a cast of seasoned professionals, visit the Comedy Jamboree at the Grand Country Music Hall. This family-friendly show is performed daily from January until December! The show is sure to be a blast for the entire family with completely G-rated comedy that will impress as well as awesome country hits, audience participation, and plenty of fun. The show features comedians, dancers, singers, and more. Kick back and relax or toe-tap in your seat! 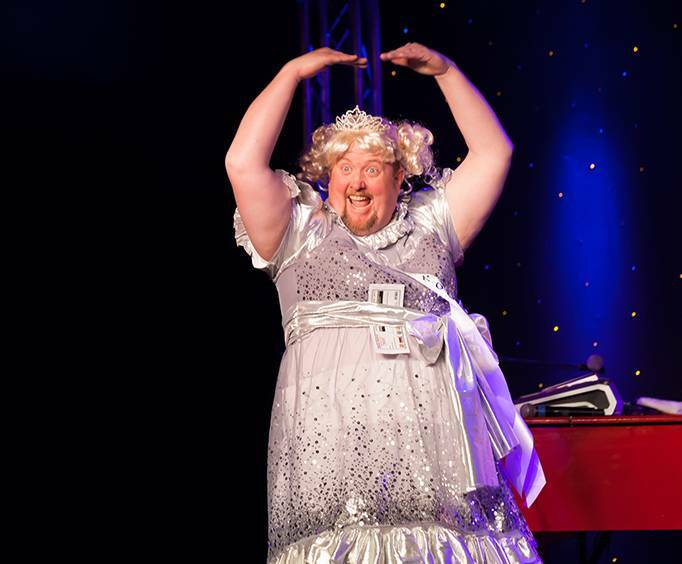 Whether you are 9 or 90, the Comedy Jamboree is a sure-fire way to add some hilarity and fun to your Branson vacation. Obviously the best part about the show is the comedy! Jamboree comedians and fantastic funny guys Applejack, Stretch McCord, and Andy Parks pull members of the crowd up on stage to help them perform hilarious acts. These amazing comedians come together to make audiences want to roll on the floor with laughter. With tons of jokes, slapstick acts, and the unique edition of audience participation, this is the best family comedy show in Branson, MO. Blending together both comedy, country music, and gospel classics, the Comedy Jamboree brings tons of musical fun and energy. The music is taken care of by the extremely talented Jamboree Singers along with Tracy Heaston, and the Grand Band. Together, they bring the audience awesome gospel and country music hits that will have them dancing in their seats! The music is all performed live for an unforgettable afternoon of fun. 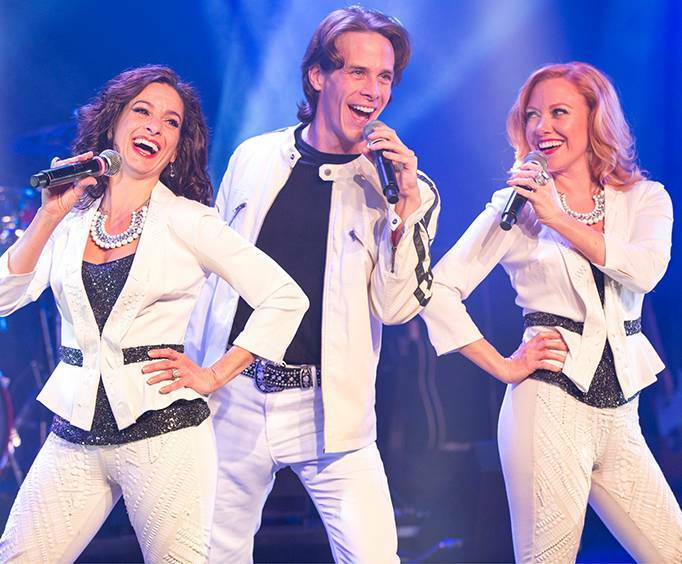 These performers are some of the best in Branson, and they deliver amazing talent and great music to audience members! Hear the talented voices of GiGi Hutchison, Matt Snow, Tiffany Sassanella, who each brings their own elements to the stage with them. These featured vocalists truly perform these gospel classics like you've never heard, so do not miss out. They are all backed, of course, by the talented Grand Band. This awesome band provides the backdrop for all of the music at the Grand Country Resort. 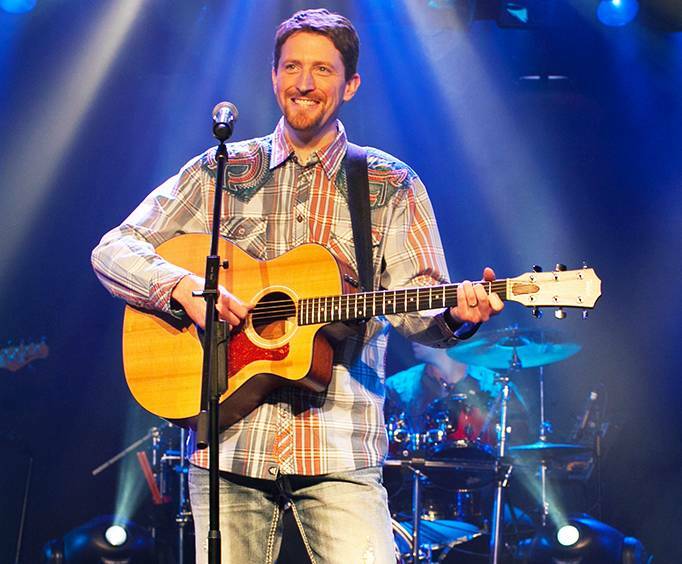 The Grand Band features the talents of Chad Cathell (lead and acoustic guitar), Larry Allred (bass guitar), Wayne Massengale (fiddle, acoustic and lead guitar), and Rob Blackburn (drums and percussion). The cast also contains dancers in elaborate costumes doing floor-pounding clogging routines and using various stage props. Before and after the show, performers are more than happy to interact with their guests which adds a welcome touch to the enjoyment of this production. As G-rated entertainment, this is a fun time for any and every family. Be sure to book this show if you want to enjoy an afternoon full of music and mayhem, comedy acts, country music's greatest hits, and live music. Music and comedy await at the Comedy Jamboree! "Great show for the family"
"Went there for my vacation." What a great show. My vote for the funniest show we saw during our stay. The music was good and the comedy was funnnnny!! Very good performers, but the sound engineer has to be replaced. It was not only too loud but, muffled and unbalanced. Very few lyrics could be understood because of the sound.. These guys need to be heard and jackie brown has a great voice but again because of the overdriven sound system, nothing could be articulated..